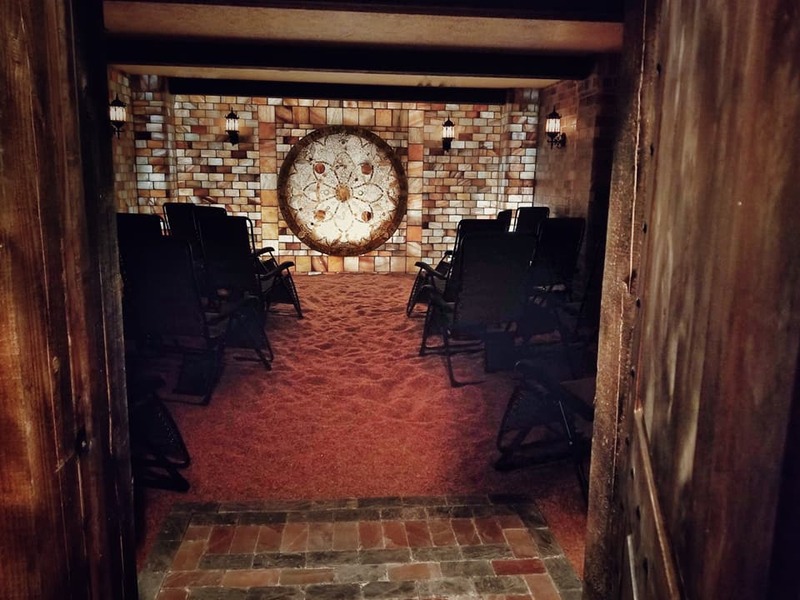 We are proud to present you with Utah’s very first Himalayan Salt Cave. WHAT HAPPENS IN A SALT CAVE SESSION? 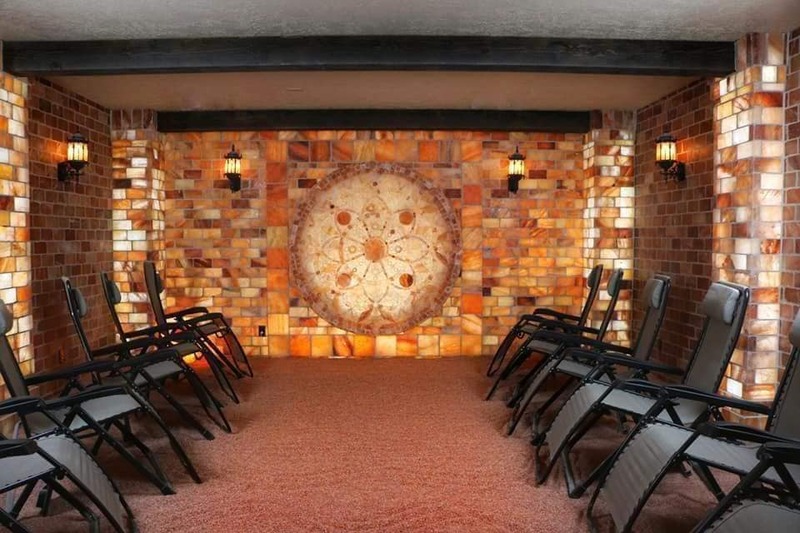 In each 45 minute salt cave session, you will experience what is called halotherapy, or dry salt therapy. 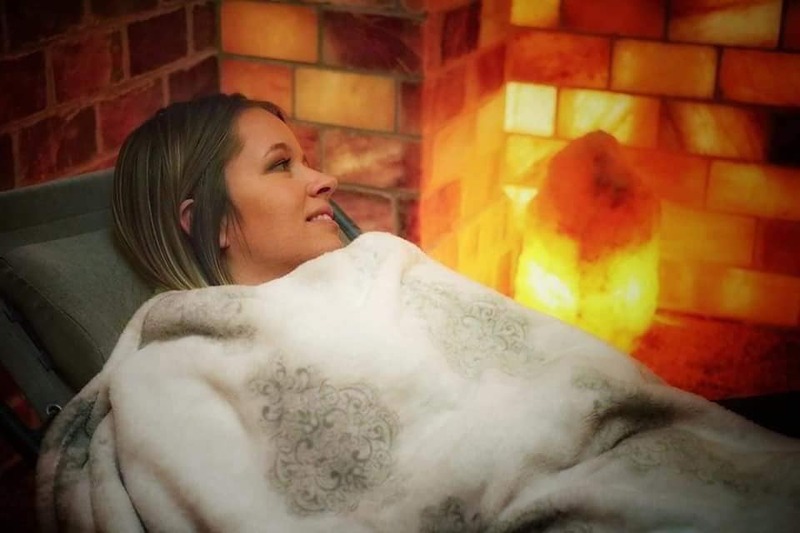 As you relax in a comfortable, climate controlled room surrounded by illuminated mineral-dense and pure unadulterated salt, micro-particles of the salt are emitted into the air through a halogenorator. This patented technology allows the mineral dense salt to passively enter your lungs, and initiate certain healing processes. The benefits of the cave can be broken down into two categories: 1. The physical health benefits, and 2. The emotional and psychological benefits. Halotherapy is a drug-free, noninvasive treatment for expanding lung function, which has been used for centuries for alleviating certain health problems such as asthma, allergies, sinusitis, bronchitis, and a host of other respiratory illness. It is a modern-day therapeutic method based on the principle of the natural salt mine microformats (Speleotherapy), where frequent exposure to the salt produced healing results for miners and others experiencing respiratory illnesses. In addition to the immediate benefits to the respiratory system, others utilize the negative ionic and cleansing air of the cave to boost energy, improve sleep, conquer certain skin and hair ailments–and the list goes on. Every square inch of the salt cave is designed to bring peace, comfort, inspiration, creativity, and healing to the body, mind, and soul. The immediate tranquil ambiance is not experienced by accident. 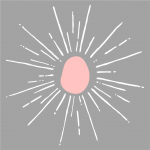 Designed by meditative artist and mindfulness instructor Amy Stone, every pattern, every shape, every color, every texture, and every placement of light has been meticulously planned out and executed, based on neurological evidence of what helps us stay in a peaceful and logical state of mind. Were you drawn by the beauty in the photos of the salt cave? See? It’s working already. Just wait until you experience it in person! For many, the salt cave becomes a refuge from the chaos of the world, as well as a breeding ground for creative thought and positive energy. WHAT HAPPENS WHEN YOU COMBINE THE PHYSICAL AND EMOTIONAL BENEFITS OF THE SALT CAVE? 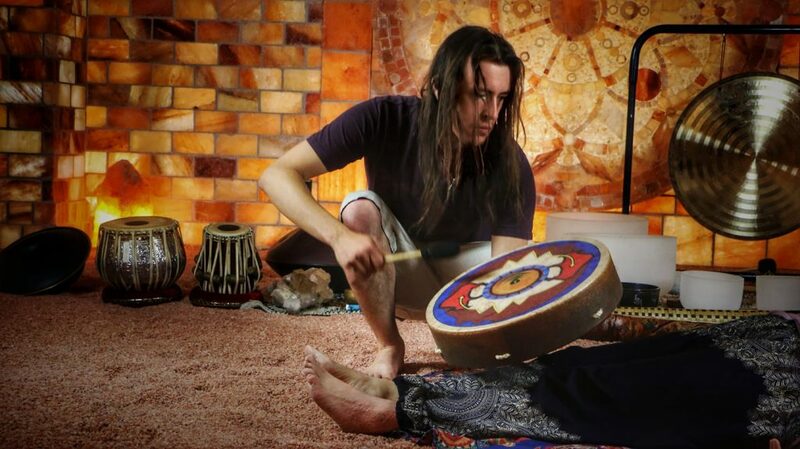 *Salt cave sessions are held every hour. Reservations are suggested to ensure you are able to enjoy the cave when you want to. *Salt Cave may be shared with up to 16 other people at any one time. If you wish to experience the cave exclusively, please book entire cave. *Private parties and events are welcome! Call us to make accommodations. We love having children come to the salt cave, and welcome people of all ages. 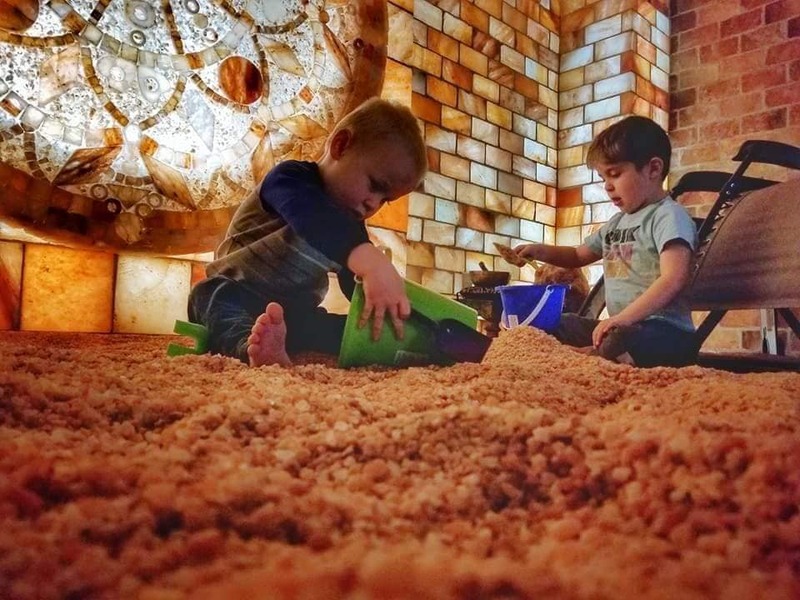 The salt cave is extremely beneficial for children both emotionally and physically. We have special daily salt cave sessions for children and families. Family sessions are 25 minutes (as opposed to the regular 45 minutes), and are just $5 per person. 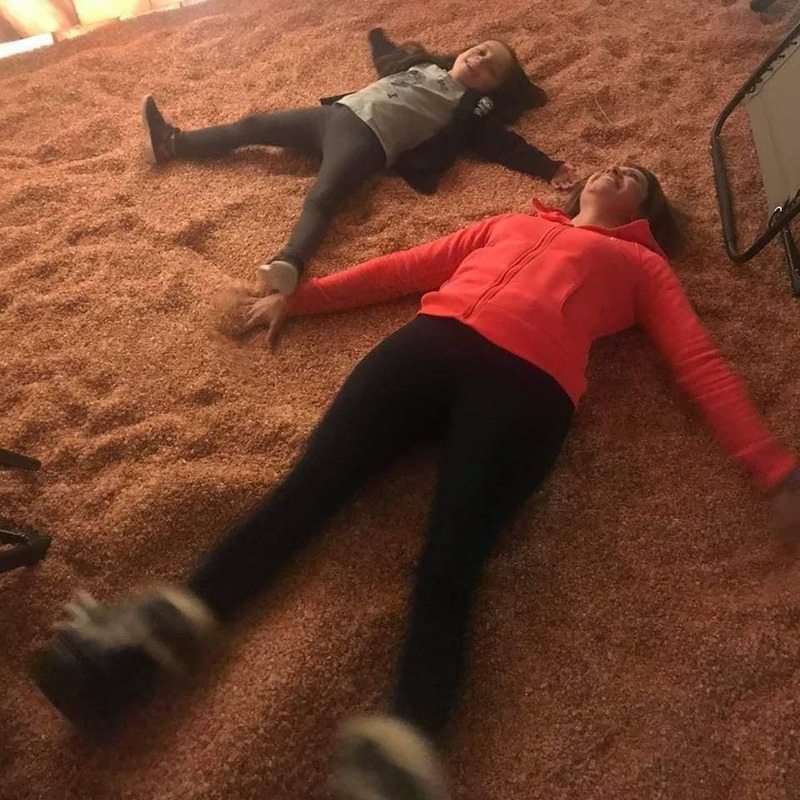 We welcome and encourage children and families to enjoy playing in the floor salt, which can have much the same sensation as sand. You are welcome to bring salt toys to play with. *All children must be accompanied by an adult. Accompanying adults are asked to supervise their children, and help maintain a peaceful experience for all attending. 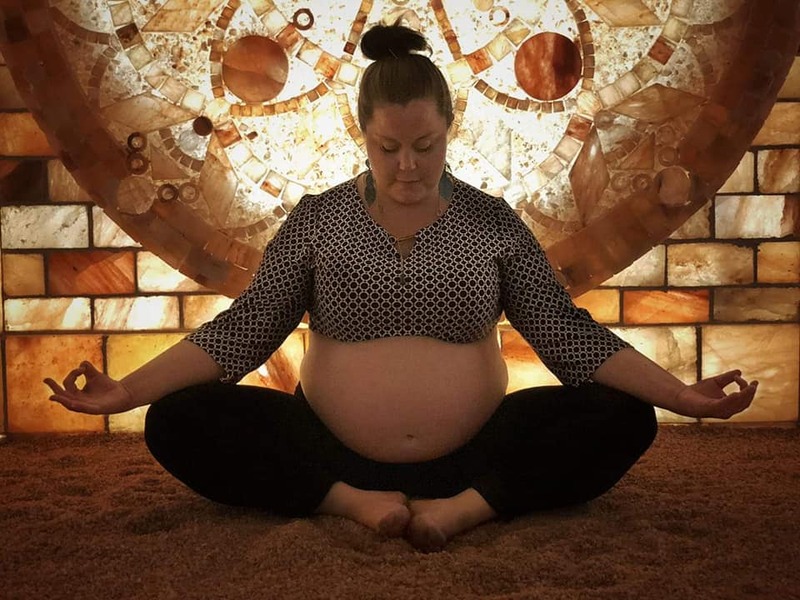 *The salt cave is safe for healthy babies, children, and pregnant women. If you have special health concerns, please consult your normal practitioner or health care provider. You may also speak with our in house chiropractors, to address and concerns you may have. 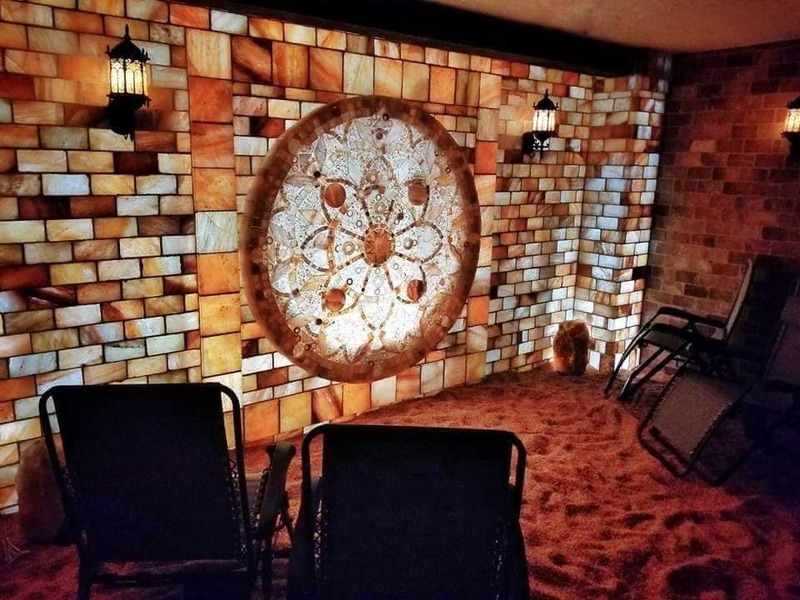 Here at the Centered Stone, we offer a wide variety of events and classes in the Himalayan Salt Cave. CLICK HERE to see a complete calendar of events and classes, and to get more information.